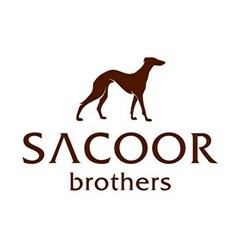 Sacoor Brothers UAE, last updated on 29 April 2018 , is listed under Apparel & Clothing category. It was added to UAE Directory Rinnoo.net on 15 January 2017 . Pages of Sacoor Brothers UAE on Rinnoo.net have achieved 12,220 views till now. In existence for 26 years, Sacoor Brothers has grown by defining trends and innovating services and products, setting itself apart by offering excellent tailor-made solutions – a characteristic common to each one of its shops all over the world. * Most viewed out of 8 branches. Sorted based on branches' views in the last 30 days, from Thursday, 28 March 2019 till today.